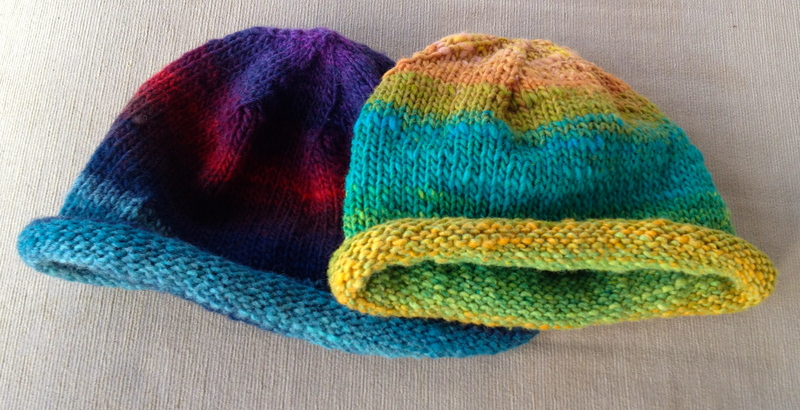 The Roll Brim Beanies in Noro are one of our popular sellers with both adults and kids. Zauberball Starke 6 works well with the spiral beanie adding texture with the knit and purl contrasts. 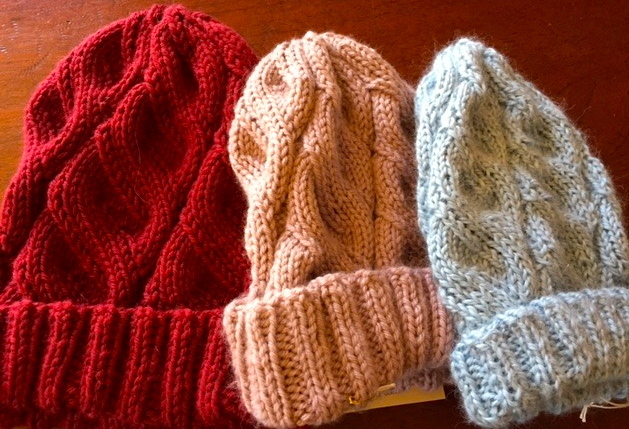 We are finding that the hand knits in our shop are incredibly popular – it’s both a blessing and a curse. Whilst it’s great to sell them and they are good little earners, they are also very labour intensive and sell much faster than we can knit them. Sometimes we’d like to see them sit in the shop for a few weeks and we don’t know whether to laugh or cry when a new item comes up to the counter for purchase an hour or two after we’ve just put it on display. With a bit of a nip now in the air some days, we’re expecting greater demand for our knits. In choosing what to create, we try to mainly use shop stock and patterns that are either our own or can be easily accessed online, so they double up as project samples for keen knitters. We are also fussy with the quality of yarns we use and try to utilise patterns that offer interest in texture and colour (whilst not being overly time-consuming to knit). 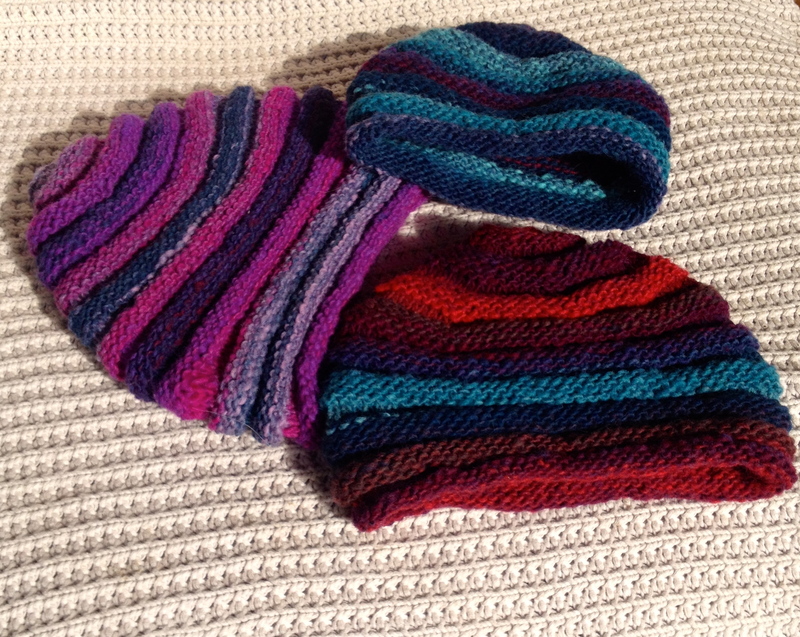 Noro beanies – the colour and textures of Kureyon work particularly well. The last few weeks, now Show knitting is over, has been beanie knitting time. 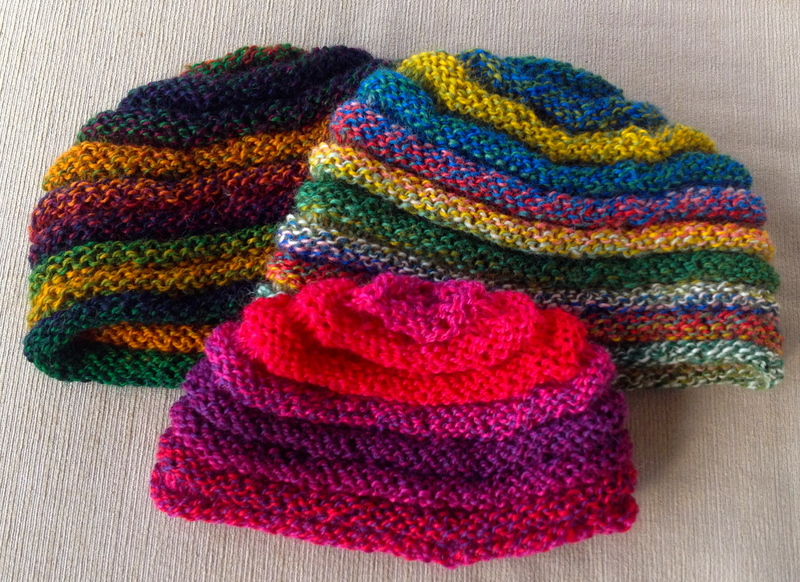 I’ve put together very basic patterns for spiral beanies in 6 and 10 ply – simple but effective with a banding effect being emphasised with different stitches and colour waves in the wool. I’m mainly using Zauberballs and Noro for these and they’ve been incredibly popular. 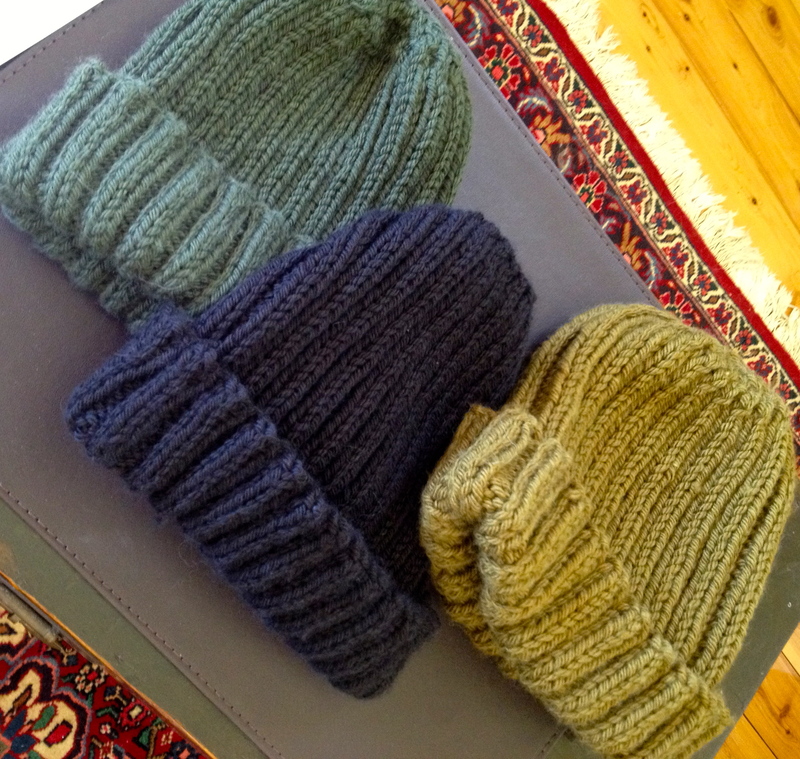 Blokey beanies in cashmere wool blends and alpaca. 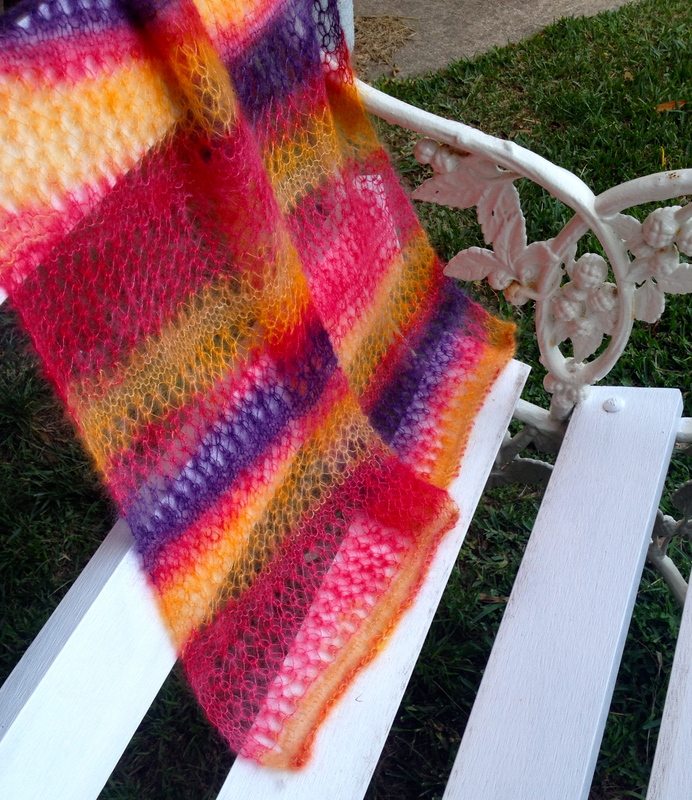 I’m also using Cashmere/wool blends for beanies – the texture is so beautifully springy. Basic ribbed beanies are particularly popular with the blokes and look natural and rustic in earthy colours. Twisted Slouchies with a travelling stitch and knitted in luxury blends. Adding to the collection is more of a Slouchy style with an interesting travelling stitch which looks a bit like a cable effect. I’ve tried this in a few yarns and they are all coming up well. I’m sure there will be a few more styles in our near future – we’re working on berets and more slouchy versions – and also using some of the gorgeous local alpaca yarns. Our Lace Scarves sell well year round and we can practically knit them in our sleep (I wish we actually could!). Once the beanies supplies have been topped up (if they stay in the shop for long enough), it will be mitt time again.